Giant bows are a simplistic yet elegant decoration that always add a little something to a wide variety of ceremonies, and take care of that extra little detail. 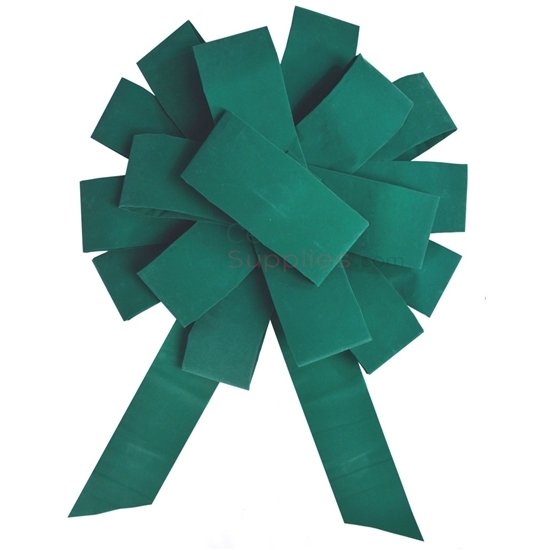 The Giant 43 Inch Ceremonial Pine Green Velvet Bow most certainly belongs to that category of bows, but adds yet another touch of understated elegance: a luxurious velvet finish. The elegance is only compounded with its considerable 43 inch size and pine green finish. 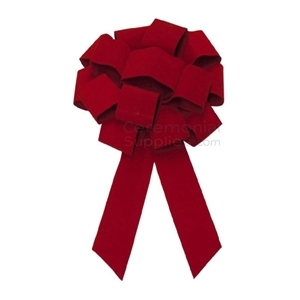 This giant bow is best paired with a satin or velvet ribbon, both of which can be found on in our accessories and decor category in addition to a host of other decorations you might want at your groundbreaking ceremony, grand opening ceremony, and everything in between!